Web hosting - award winning website design in Chicago - April 20, 2019. If you are seeking feature rich performance and reliability, our hosting plans are perfect. Hosting plans carry a 30-day money back guarantee and include toll-free phone support, online chat and email support. * New accounts only. A one-time, non-refundable $19.95 server setup fee applies. 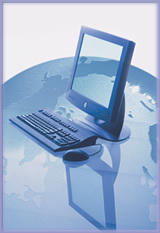 Hosting fees and domain name registrations are based upon a 12-month term.